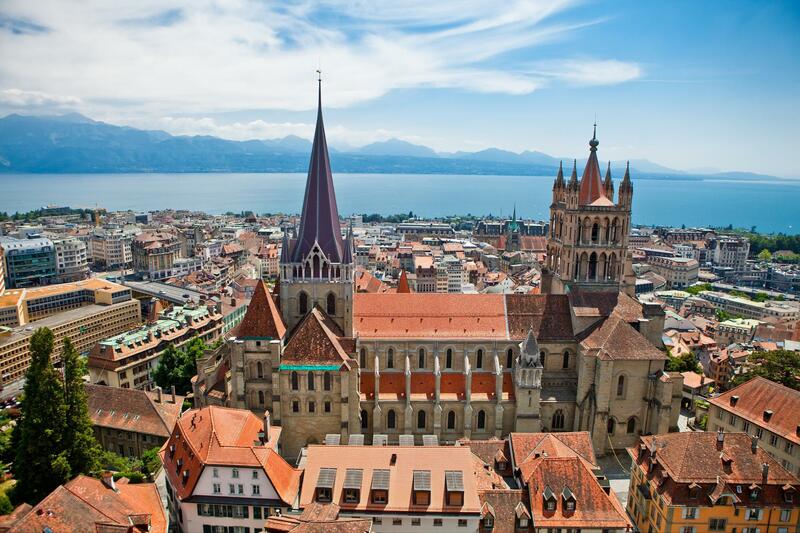 As the spiritual capital of French-speaking Switzerland, the Cathedral of Lausanne is of interest to people from all parts of the world. Constructed during the XIIth and XIIIth centuries, consecrated 20th October 1275 in the presence of Pope Gregory X and Rudolf of Habsburg. 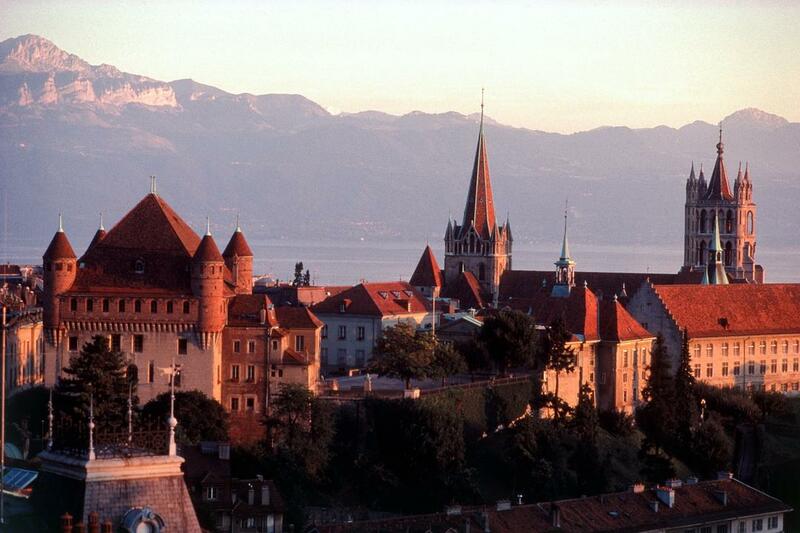 It became a protestant cathedral in 1536. From that point Jean Cotereel, the third builder, continued the work on the site by constructing the western section, giving it a porch and two towers, one with a belfry, the other one remained uncompleted. It was only in 1275 that the Cathedral was consecrated, by both Emperor Rudolph of Hapsburg and Pope Gregory X. In 1536, during the Reformation, the Cathedral underwent significant changes when a new liturgical area was built in the nave. Thereafter, it was restored a number of times in the 18th century and again in the 19th century under the leadership of the famous French architect Eugène-Emmanuel Viollet-le-Duc. The Cathedral has a highly significant multi-coloured interior. Dating back to the original construction, this design was covered over during the Reformation and then revealed at the beginning of the 20th century. The paintings are still visible in the Chapel of the Virgin as well as on the statues of the painted doorway, which is unique in all of Europe and has been completely restored since October 2007. The rose window is among the masterpieces of European artistic heritage. Its panes depict the medieval view of the world arranged around the figure of God the creator.